Ruins of an ancient Greco-Roman city founded by Philip II, the father of Alexander the Great. 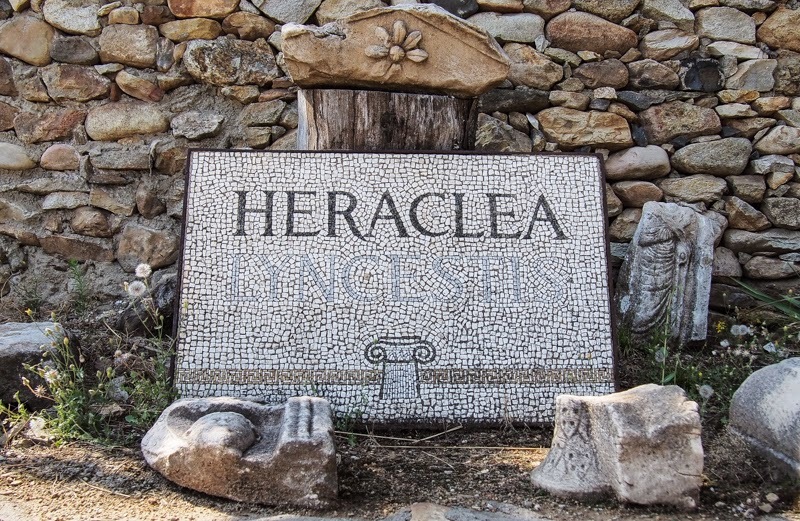 Unlike most other ancient cities, Heraclea Lyncestis (Heraclea for friends) comes with celebrity endorsement. 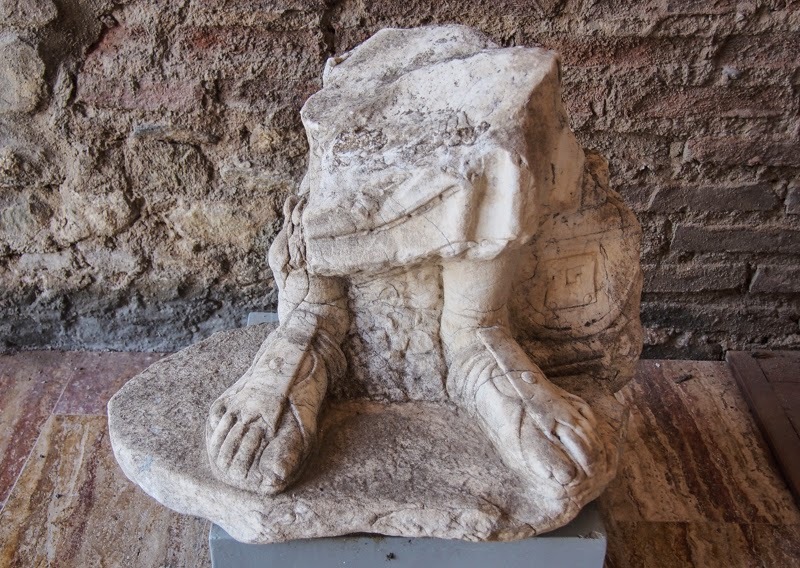 How many other cities can claim they were founded by Philip II of Macedon, whose son Alexander (Alex for friends) went on to conquer half the known world? 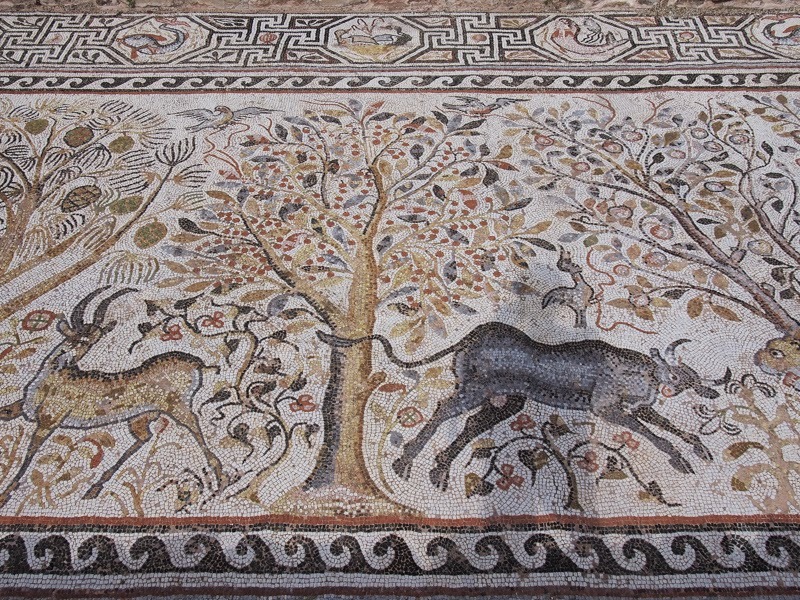 But the real draw at Heraclea are the mosaics. 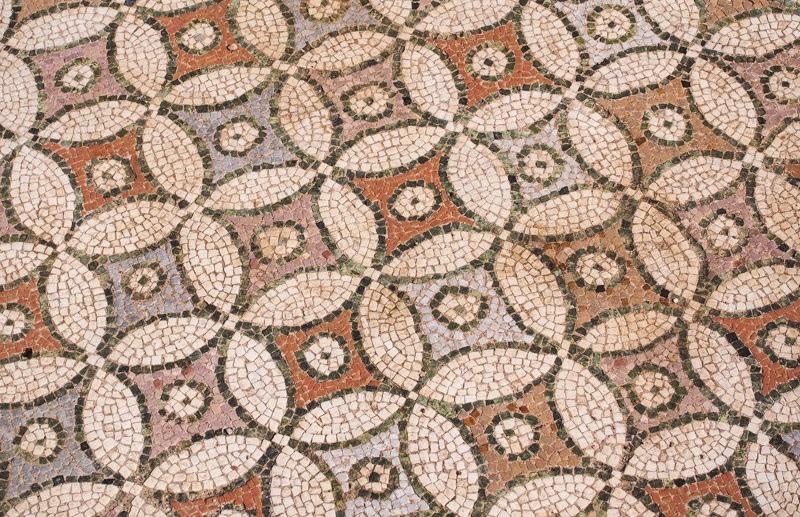 Nor Philip, nor Alexander had anything to do with them, but they are among the best you will find in the Mediterranean, full of life, animals, complicated geometric patterns, and colour. Just a short walk south of the Macedonian town of Bitola. Map. However, screw Philip. He, nor his son Alexander, do not leave anything worth mentioning at Heraclea. 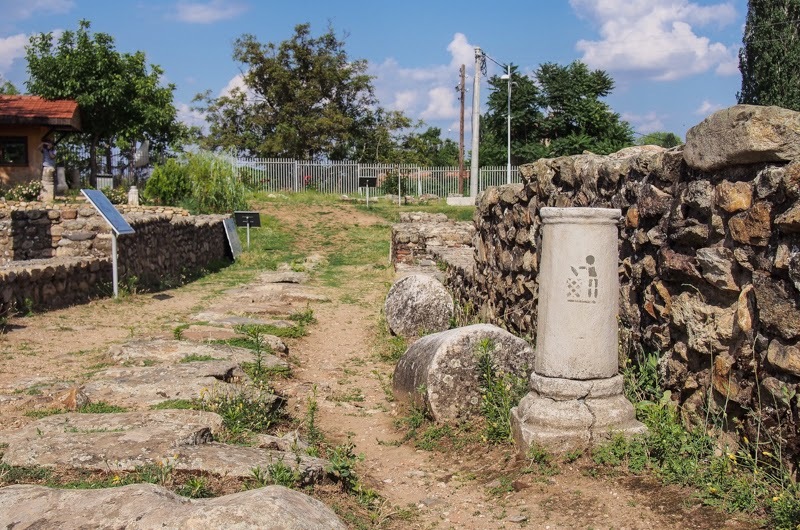 After the ancient Macedonians founded the city, it became Greek and then Roman. And when the Roman empire became Christian and split itself in two, Heraclea became a Byzantine, Christian city. The small basilica- the roof is gone, the floor is still there. Having converted to Christianity, the Heracleans wanted to demonstrate their loyalty to the new faith and quickly built a few churches to replace whatever pagan temples they had. 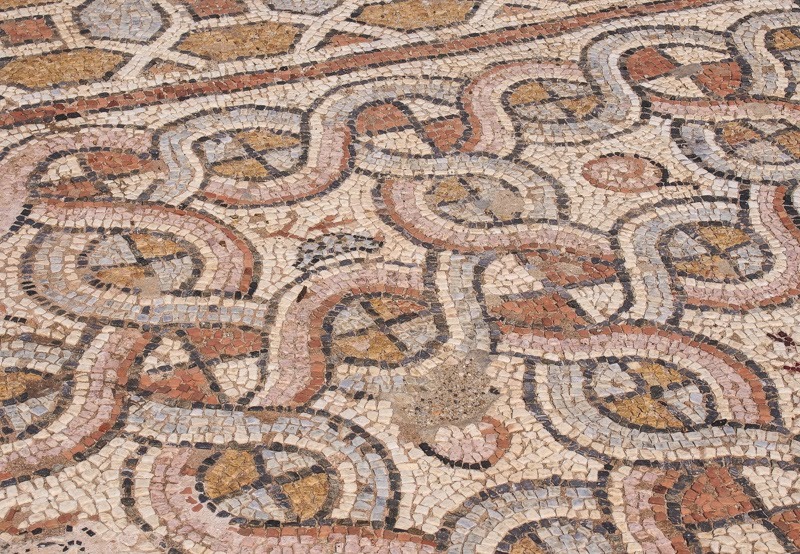 And although the religion had changed, the art had not ,so the first basilicas in Heraclea came with Roman mosaic floors that are simply stunning. 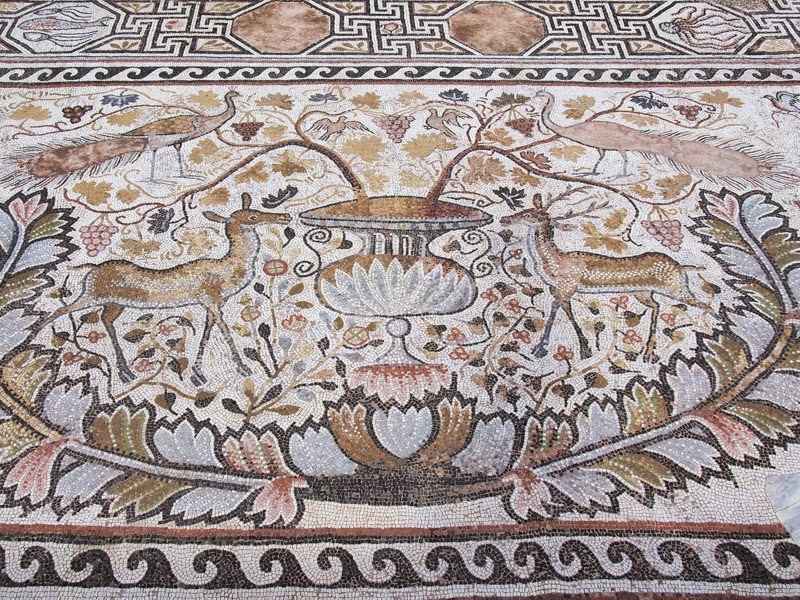 These technicoloured mosaics, dating back to the 4th-6th century, are pretty wild: hallucinogenic geometric patterns as well as a variety of flora and fauna that would have made a Roman hunter salivate. 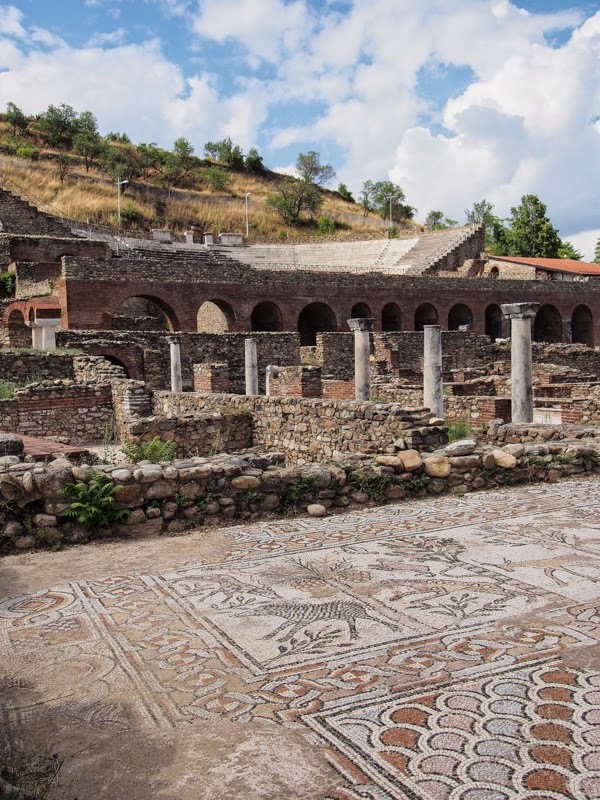 The Great Basilica's floor with the Amphitheatre in the background. 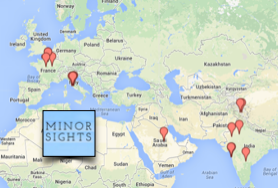 Apart from the churches and the mosaics, there are a few other minor attractions. 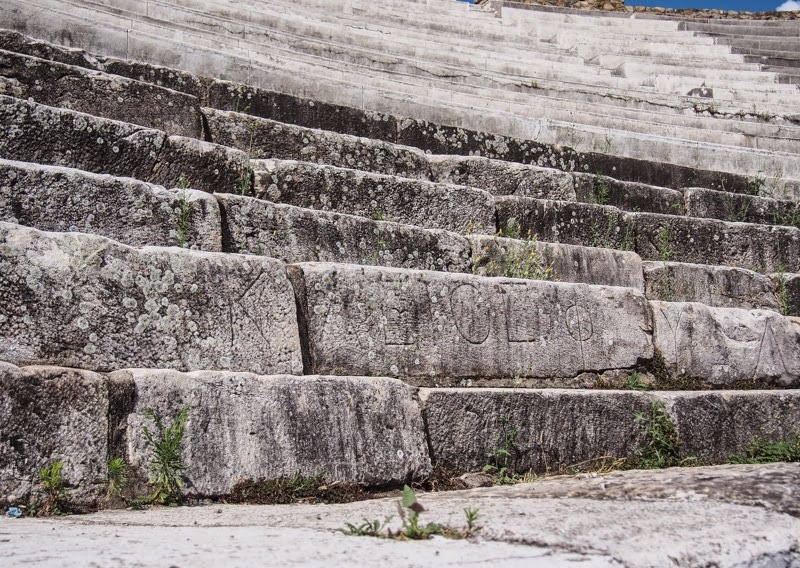 Greek inscriptions (ring-side advertising?) on the benches of the theatre. 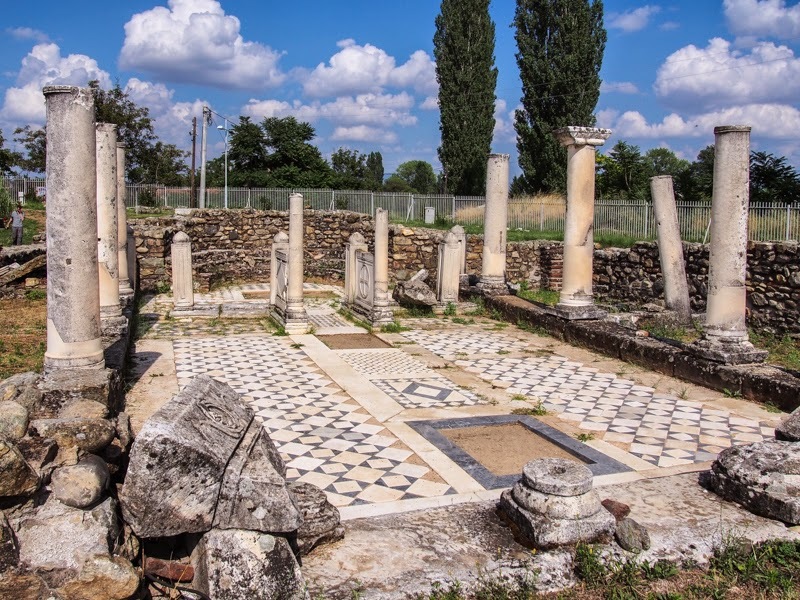 Having satiated your need for ancient art, head over to Bitola proper where you can satiate your thirst for a drink (alcoholic or otherwise). 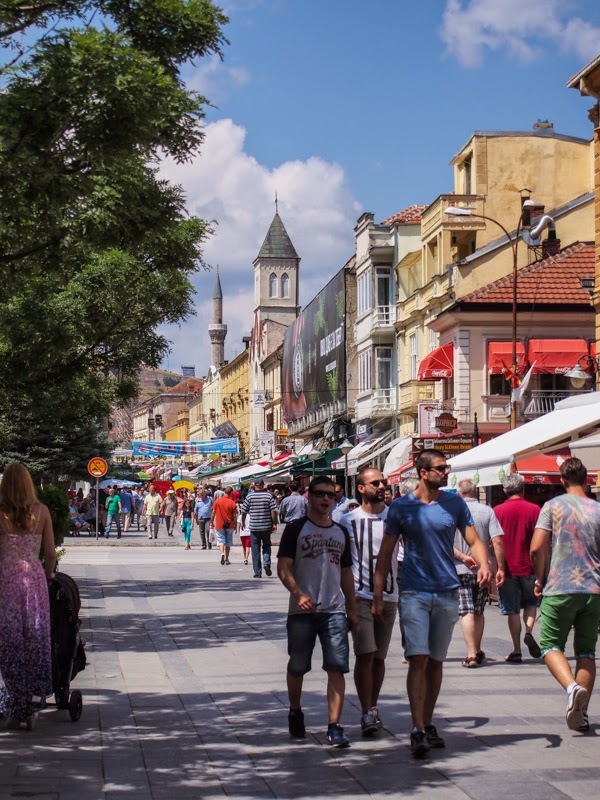 The main drag, Širok Sokak, is a delight to wander and full of cafes. Heraclea Lyncestis on Exploring Macedonia.